Did you think scientific conferences are only for established researchers? Or for PhD students that are about to finish and really have something to present? But not for you, who might not even think about their first publication because you’re still missing some additional data and the final “amazing” conclusion? Well, here you are wrong! Conferences are for everyone, established researchers just like Early Career Scientists (ECS). 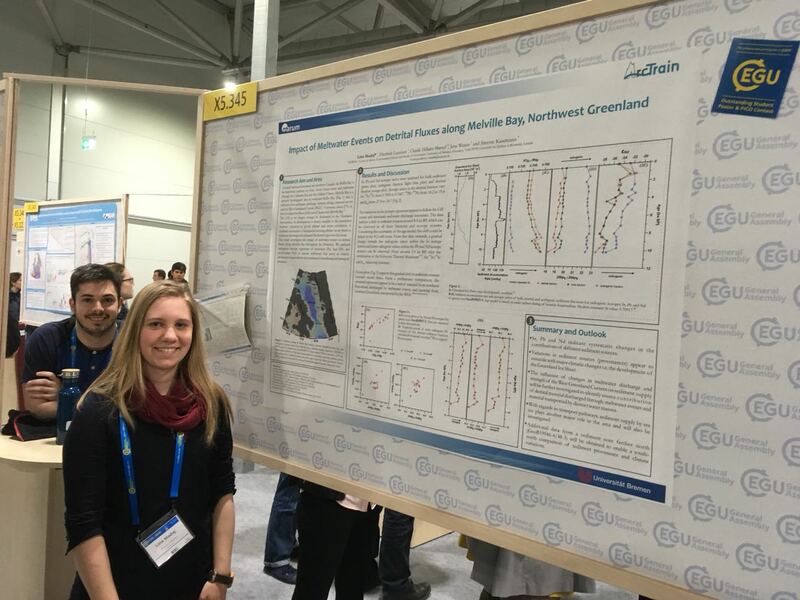 I have to confess, before I actually went to the EGU General Assembly in Vienna last week, I also wasn’t sure if my current results were already interesting enough to be presented at a big conference like this one. I was a little scared that someone could ask questions I wouldn’t be able to answer. However, after my poster presentation I learned that that fear was totally unnecessary. Everyone coming to my poster was really friendly and interested. Even the authors of some of the papers I read are actually also just humans (surprise, what else would they be? ;)) and as friendly and interested as everyone else and actually rather give comments than criticism. Apart from that, conferences are not just about presenting and discussing your research. They are also about meeting new people and old friends, getting new ideas and insights, maybe even from outside your field. Especially big conferences like the EGU General Assembly offer a variety of short courses, especially for Early Career Scientists. To give you a few examples what theses courses could be: presenting at a scientific conference, applying for funding, science communication, how to turn your research into a cartoon. From these courses you can indeed gain as much as from presenting your work. Me, presenting the latest results of my PhD project. Also in the picture: my fellow ArcTrain colleague Pierre-Olivier, presenting his poster on the other side. Long story short: I loved my first conference experience! I got many new ideas from other people’s talks and posters, just like from discussion over mine. That really motivated and inspired me for the coming 1.5 years of my PhD. I also learned about career opportunities, the EGU structure and how to get involved and how to use social media like Twitter (we have a Twitter account now: @IRTG_ArcTrain, feel free to follow us). 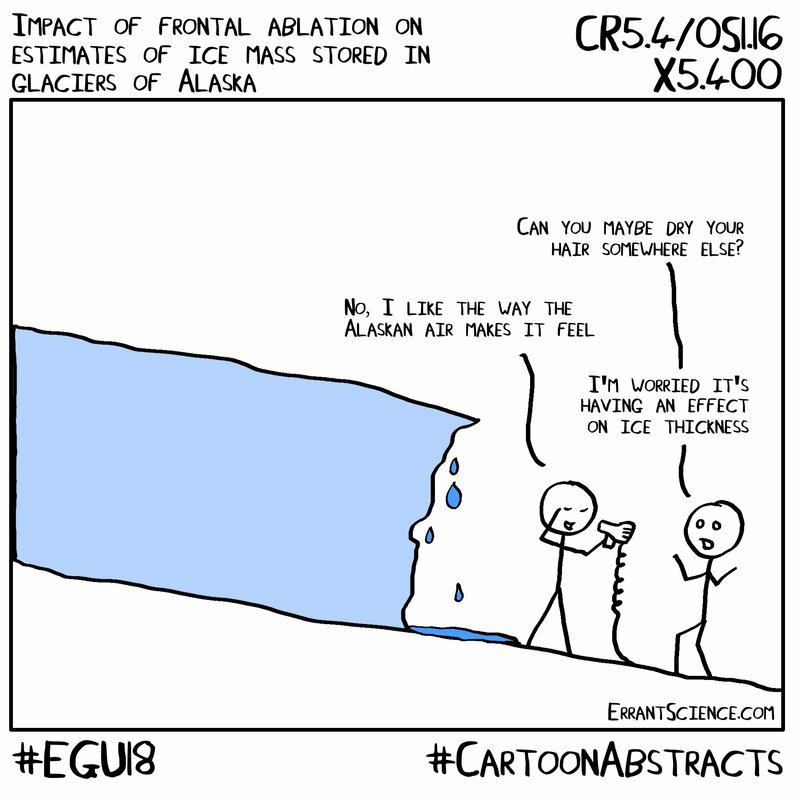 And of course I met a lot of different people – old study colleagues, ArcTrain PhDs from Canada, top authors in my field and other Early Career Scientists working in polar regions! So don’t be afraid of big conferences, they have so much to offer and you gain a lot of experience about how to navigate any conferences. I might even say the bigger ones are perfect as a start since they are not just about science. And if you think that PhD students only present posters, let me prove you wrong: a third of us actually had the opportunity to give a talk. 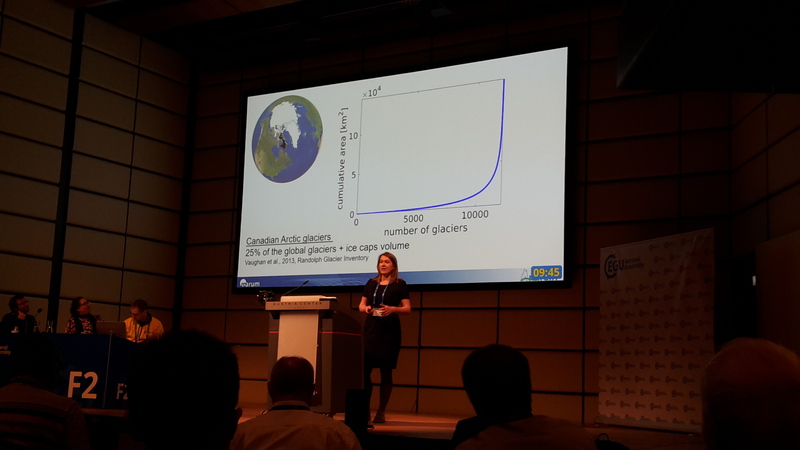 Anouk during her talk in one of the big lecture halls at the EGU General Assembly 2018. 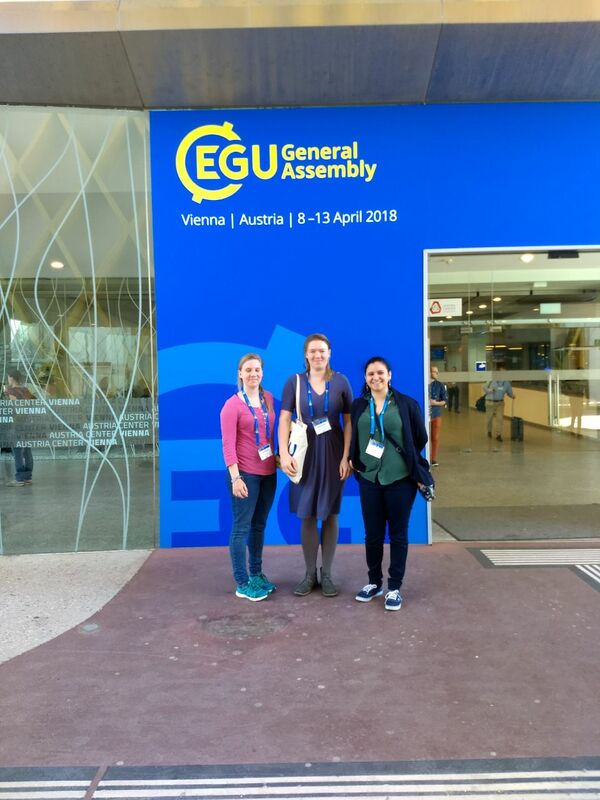 Lina, Anouk and Bea at the EGU General Assembly in Vienna, April 2018. Bea’s EGU General Assembly poster made into a cartoon by ErrantScience.